A woman in her 70s remains in hospital after she was bitten by a seal near a boat ramp at Port Fairy, a popular seaside town in south-west Victoria, over the weekend. Paramedics reported the bite went “through to the bone” at the wharf late on Saturday afternoon. Helene Whelan and her partner witnessed the attack and helped the woman after the seal lunged at her. She said they had stopped after noticing a crowd around the boardwalk. “We noticed the seals there so we took a couple of photos and tried to walk back and this lady approached the seal,” Ms Whelan said. “She was walking on the boardwalk. She was walking past with her dog and she was standing there … about to walk off and the seal literally lunged out of the water and bit her leg. “She just started screaming. It was really terrifying. A neighbour brought towels over to help the injured woman and Ms Whelan’s husband called emergency services. They waited with her until the paramedics arrived. Ms Whelan said the woman was on holidays and happened to be in “the wrong place at the wrong time”. “The bit that annoyed me afterward was everyone continued to chase it and take photos and videos of it while the seal was so aggressive,” she said. The Department of Environment, Land Water and Planning (DELWP) said it was investigating the incident and had put up signs warning people of the seal’s presence and urging them to keep their distance. Senior forest and wildlife officer Ian Westthorpe said the 100-kilogram seal had been at the Battery Lane boat ramp for the past four months. “The seal … has become dependent on discarded fish scraps from anglers,” he said. People can be fined $242 on the spot for feeding a seal, with a maximum penalty of $3,223.80. Under wildlife regulations, dogs are not permitted within 50 metres of a seal on land or in the water, and people should not come within 30 metres of a seal on land. The spot where the incident took place has ongoing issues with people throwing fish entrails into the water and even feeding seals directly — a problem that had also been raised at other south-west coastal spots including Warrnambool and Portland. Professor John Arnould, a seal expert at Deakin University, has been studying seal behaviour for two decades. “You wouldn’t go around feeding a grizzly bear at a dumpster, or wolves, so why would you feed a seal? Professor Arnould said Australian fur seals were usually wary of humans because they were hunted by white settlers and the Koori population before that. He said juvenile seals were more adventurous and more likely to turn up at beaches and boat ramps. “Once they learn of a food source, they’ll come back to it, making them less wary of humans and more territorial,” he said. Professor Arnould said euthanasing or relocating the seal would not solve the problem. “Relocating the seals has been tried extensively in Tasmania and failed [because] the seals find their way home to the food source. 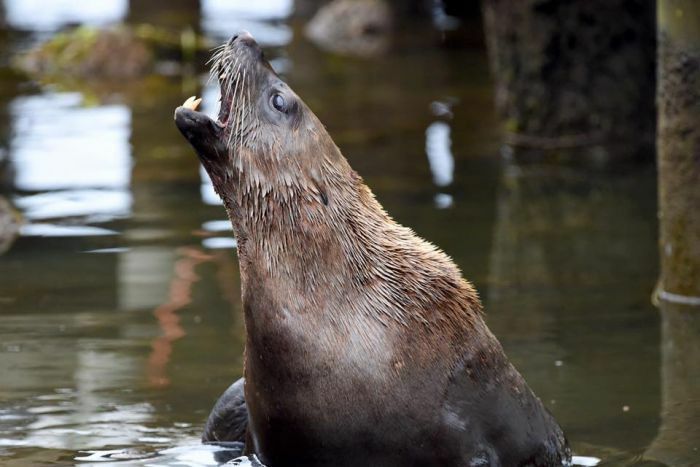 At the end of 2017, DELWP euthanased a 200-kilogram male fur seal they said had “taken up residence at Port Fairy’s boat ramp … eating fish scraps discarded by anglers at the nearby fish cleaning facilities”. 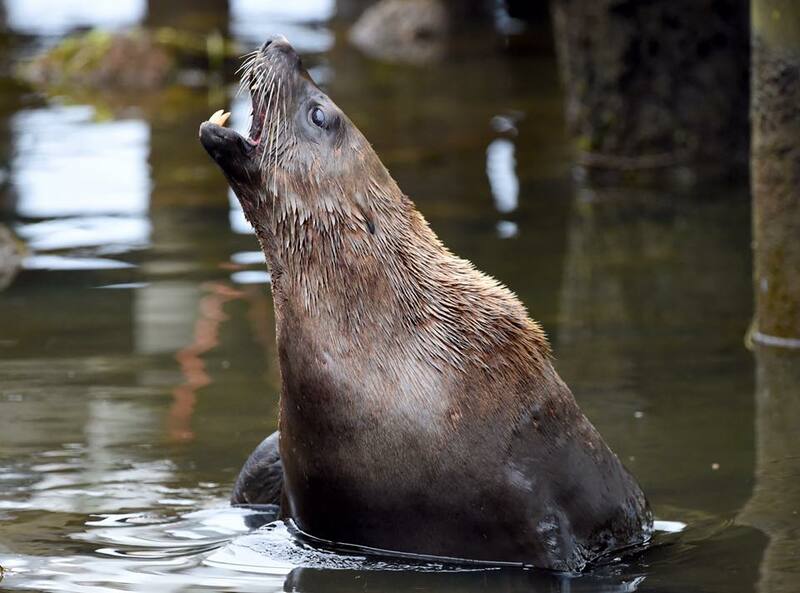 At the time, Barwon South West program manager of compliance operations Mark Breguet said the seal had developed a “potentially dangerous” dependency on humans. “There were a number of recorded instances where the seal aggressively approached the fish cleaning table and grabbed fish from anglers,” he said. The department had planned to relocate the seal, but a vet team found it was suffering serious injuries, believed to have been inflicted by another male seal, and they decided to put the animal down.